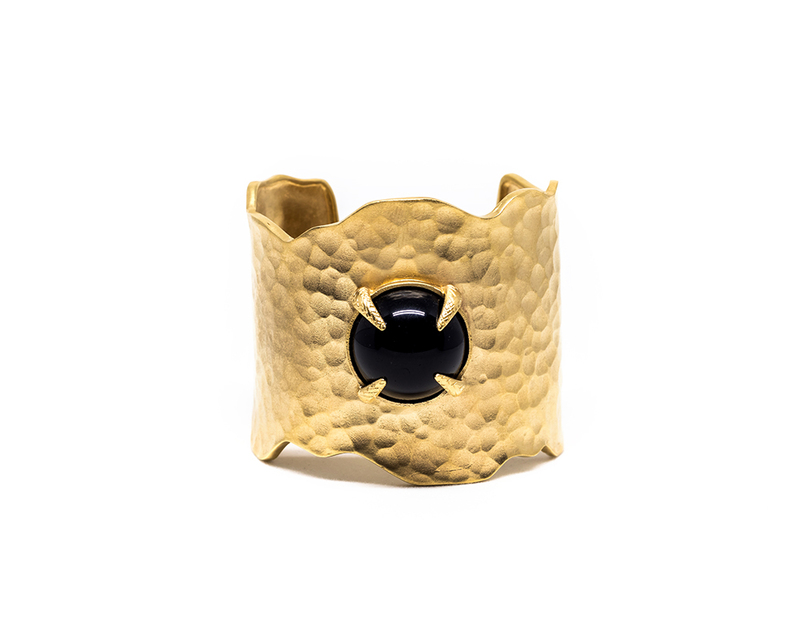 The Alexia Cuff is handmade in Portugal in gold plated and slightly hammered brass, setting off black obsidian at its center. 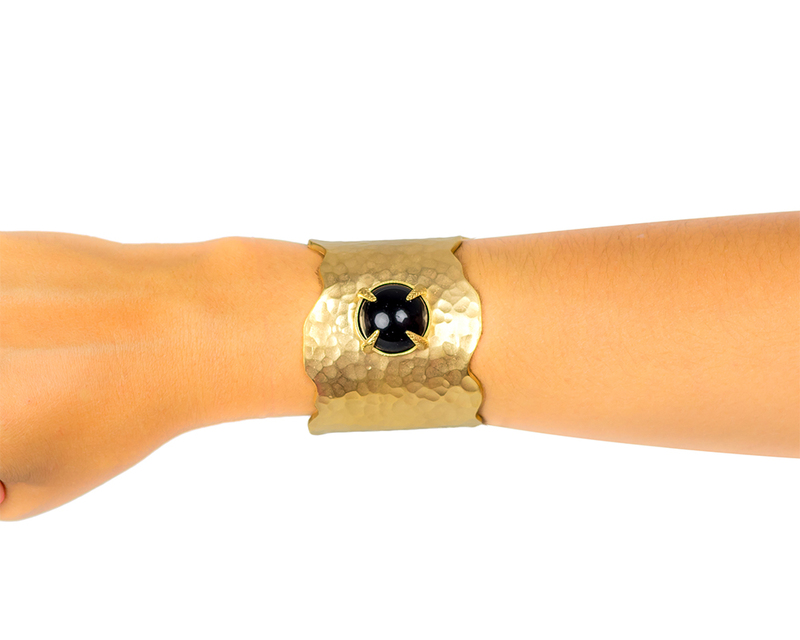 Both upper and lower extremities are cut out in an irregular and elegant pattern.Simple and chic! Comes in its own dust bag.